Discussion in 'Other Vehicle Classifieds' started by andrewok1, Nov 30, 2018. 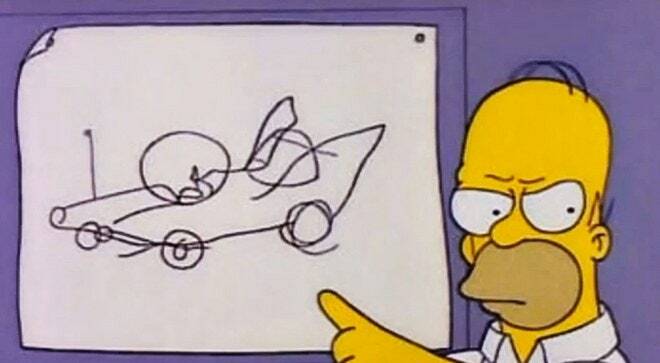 J.C. Whitney and Homer Formby built a car together? 21st century family truckster . ForistellFord, HuevosRanchero and andrewok1 like this. I wondered what Clarke Griswold drove these days. Basstrix and andrewok1 like this. He cared enough to put that much effort into it, at least. But, eek. TestDummy, Jimbob and andrewok1 like this. Clearly the crystal ball thingie gives the transmission special powers. Who needs overdrive. Is that leftover hardwood flooring? Thankfully he didn't tile his house. Are those sidepipes or nerf bars? Probably both. Best not to step on them in bare feet. Or cheap shoes. Or expensive shoes for that matter. Dumbledor called. He wants his beer tap handle back. If I came into a very large sum of money, I'm pretty sure I'd quickly be guilty of spoiling my little Bubba baby. I would send it to Count's Kustoms for a full-on badass restomod. It would be, to me, the coolest 96 E-350 on the planet. But with my tastes, I am sure some folks would look at it sideways. But heck, 3D skulls are cool to me. I’m all for making mods that make the owner happy. Especially if they are functional. Just don’t expect to get your money back; might even want to prepare yourself to get less than market value because of the mods. And brace yourself for comments from jerks like me. Money back? Hell, if I sell it now I won't get my money back, and I only paid $2300 for it 5 years ago. I'm never selling it, either in its' common form or if it gets a radical conversion. My baby. MINE!!!! And I'm sure you know and feel the same way... I wouldn't be bothered by jerky comments. My ride, my choice! Here's Andy putting his customizing ideas to paper. It also has a PA unit with different animal sounds. But 21st Century Family Truckster it definitely is.